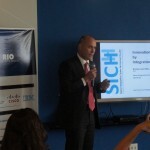 Rio de Janeiro state wishes to speed up public-private partnerships (PPPs) in order to make the state’s own fiber optic network happen. 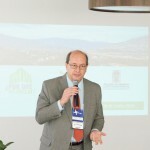 According to the president of the Center for Information and Communication Technology of Rio de Janeiro State (Proderj), Antonio Bastos, 23 consortia have presented partnership proposals for state government to install fiber optics in Rio’s 92 municipalities. In the capital, officials make sure that construction work done for the Olympics include the obligatory pathway for fiber optics. “We already have a network, but we need to reach the 92 municipalities. And many of them don’t have the resources to afford an investment of this magnitude. With no fiber, no connectivity, there are no services using the technology. We can’t even think about Internet of Things”, points out Bastos. Asked about the difficulties in adjusting a PPP, the Proderj executive said that some interests should be shared, especially with telecoms. “There is the matter of cost and business model to be discussed, but the PPP should be settled this year. We want Rio as a pioneer in having its own interconnected network, even if using third party funds, he completed.